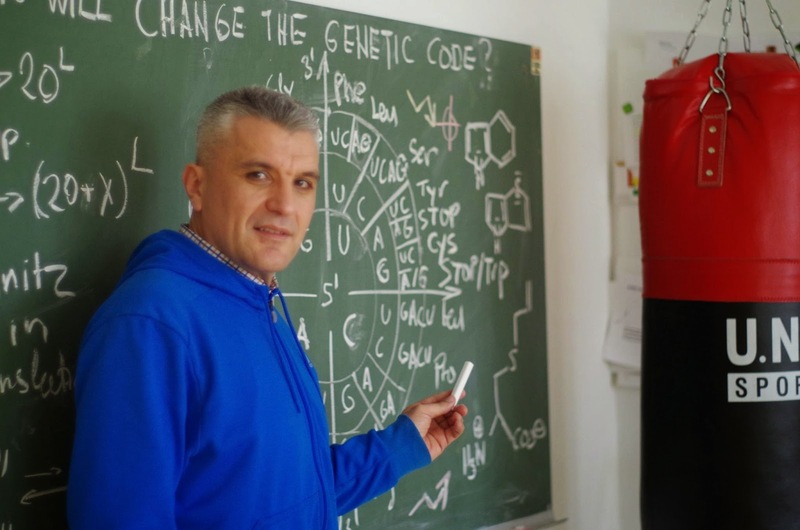 I was born in Croatia, where I studied chemistry, biology, and biophysics. Since then, my objective has been to change the genetic code. The first step in this direction was my PhD at the Max Planck Institute for Biochemistry in Martinsried, near Munich, in the group of Nobel laureate Robert Huber. There, I finished my habilitation and headed up an independent junior research group. In 2010, I was appointed full Professor at the Technical University of Berlin. My first hurdle as a professor was to establish a new group - Biocatalysis. In contrast to my previous position where I could almost exclusively concentrate on my research on the genetic code, I suddenly had three jobs simultaneously: administration, teaching and science. 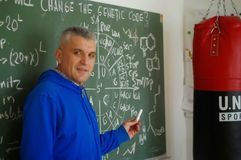 I also had to pay a high price for my new teaching load (Organic chemistry, Biochemistry, Biocatalysis and Synthetic Biology) – the preparation of lectures, which consumed almost all my weekends – time stolen from my family (in Munich). Only two years after my arrival in Berlin, my group had to move again, this time from Franklinstrasse to Müller-Breslau-Strasse - this cost us a lot of effort and substantially slowed down the full establishment of the group. When I look back over the past five years in Berlin, it brings to mind the Hydra: for each completed task three new ones grew. I handle this tough workload through good mental and physical balance that I maintain through regular sport (boxing) and my intellectual interest in history, philosophy and the fine arts. I still enjoy my work, and I am slowly but surely achieving my scientific goals. My ultimate goal is to be a scholar in the best sense of this word, to have a biography that goes beyond "impact factors" or other metric systems. Decide what you want to achieve. Don’t make long experiments with your life. Organize your life around your goals. 2.) Accept that life is unfair! Learn to make a virtue out of necessity. Just do your best. Do not get bogged down by any comparisons with others. Do it your way! 3.) Do not be selfish! It is much better to give than to receive. Sooner or later you will learn that it is also good for you. 1.) Get the big ideas and visions right; make sure to know where the journey is heading; communicate your ideas by practical implementation; convince a critical mass of important people. 2.) Always lead by personal example; select the right coworkers: everybody makes mistakes – but more important is the capacity to recognize and admit them; the crucial importance of mentoring and openness to criticism leads to improvement. 3.) Ensure continuous and sustainable path for implementation of your ideas and visions; fight hard to get them supported; don’t ignore trends and the mainstream, but equally don’t became their slave; keep firmly on your path. 4.) Take on board the best practices and lessons; always be ready to repeat and refine; work continuously on self-improvement and the improvement of your team.